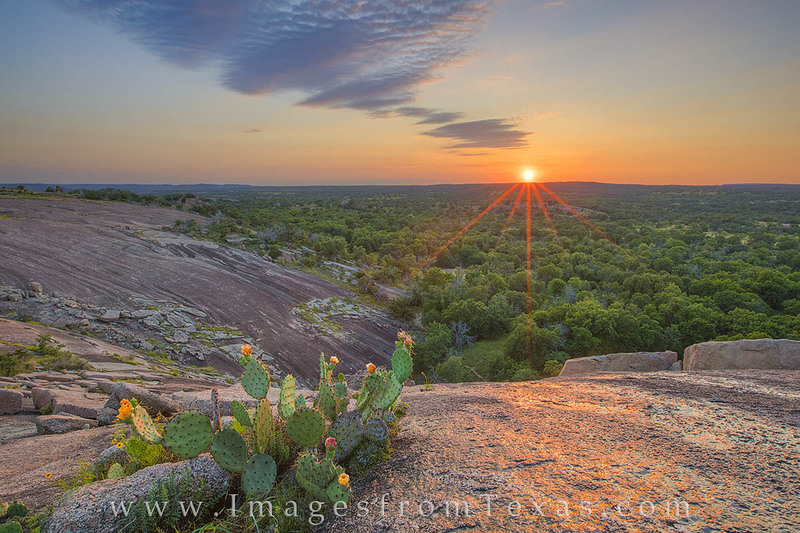 A prickly pear actus blooms on Little Rock, a rise of granite just west of Enchanted Rock in the Texas Hill Country. This sunset photograph was captured in late May. A glaze of moisture on the granite captured the colors of the sky and seemed to illuminate the rock as the sun fell below the western horizon. Photo © copyright by Rob Greebon.